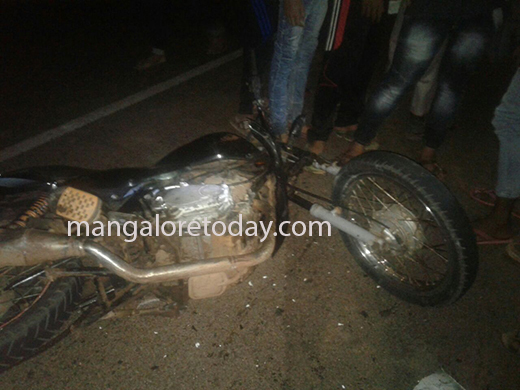 Bantwal,Dec 01, 2017 : Two persons were critically injured after bike collides head-on with scooter at Budoli in Bantwal on December 01, Friday. The injured are identified as Mustafa(20) resident of Uppinagady and Zubair(18) of Gadiyar. Sources said that Mustafa was on his way from Uppinangady towards Bantwal on his motorbike . His bike collided head-on with Zubair’s scooter at Budoli. Due to the impact of collision both were thrown off the road, suffered greivious injuries. Both are being treated at hospital are said to be critical. Vittal police have registered the case.